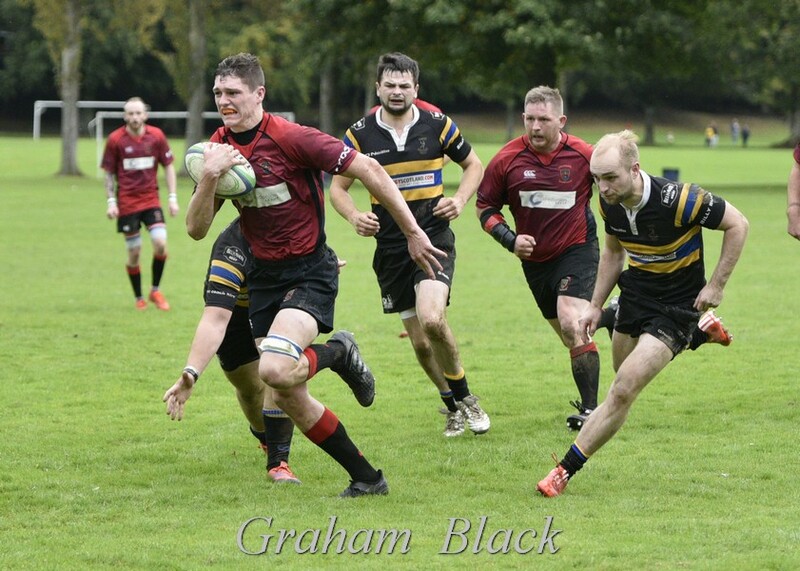 The Reds travelled down to Hawick Harlequins on Saturday, with a squad partly depleted by injuries, non-availabilities and a late call-off relating to illness. Quins at home are a tough proposition, as their excellent record last season bore out. With Andrew Archer a late call-off through illness, Kieran Cochrane stepped up into the squad for his full Reds debut joining Gregor Stewart, another of last season’s u18 team, who was playing only his second match as a Red. Also making his senior debut was the young Borders referee. It was a tough assignment for a young lad who was one of the youngest on the pitch, however he will have gained good experience from the match. The game was pretty even, despite the scoreline and the Reds showed an improved performance in several aspects of the game – the forwards carried better than previous weeks and the line-out was generally much improved. The backs also showed signs of improvement in attack with improved depth and width at times. Once again, The Reds created chances to score but did not take them through poor decision making. There were lots of positive signs, however the players need to learn from decision making errors and make the necessary adjustments for future matches. 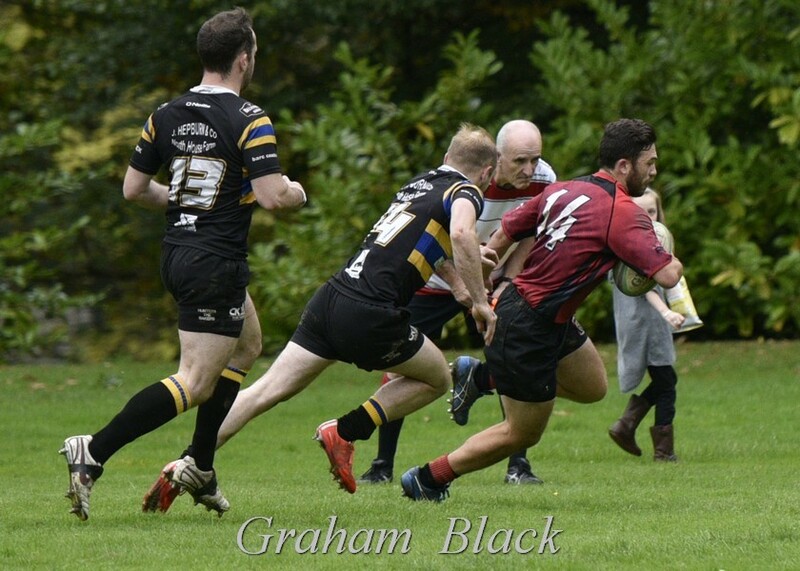 Although Quins scored five tries in the match to the Reds two – one from Lewis Herdman and one from Mark Caddle – 3 were soft scores as a result of poor tackling and defensive lapses caused by lack of concentration. It was no coincidence, therefore, that the score deficit was 3 converted tries. 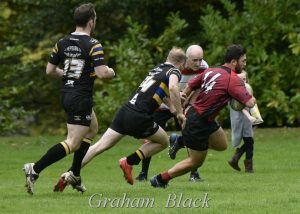 Tackling and physicality in defence needs to improve. Quins were worthy winners, being generally more streetwise. However, the points difference did not reflect the competitive nature of the game, with the Reds giving as good as they got throughout. Next week the Reds are at home to Portobello in BT East 1, while the 2s are away at Penicuik on reserve league business. Jack Frame; Jeff Martin, Gregor Stewart, Chris Ronalson, Lewis Herdman; John Chapman, Jamie March; Chris Archer, Stuart Cunningham, Michael Robertson; Neil Lockhart, Sean Hagerty; Euan Mochrie, Ross Martin, Mark Caddle. Subs – Callum McKeown, Kieran Cochrane, Pete Millar.